McFarland & Company, 9781476670164, 200pp. Since their introduction in 1964, American muscle cars have been closely associated with masculinity. In the 21st century, women have been a growing presence in the muscle car world, exhibiting classic cars at automotive events and rumbling to work in modern Mustangs, Camaros and Challengers. 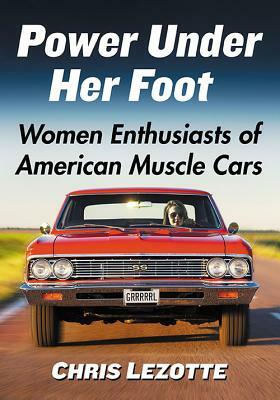 Informed by the experiences of 88 female auto enthusiasts, this book highlights women's admiration and passion for American muscle, and reveals how restoring, showing and driving classic and modern cars provides a means to challenge longstanding perceptions of women drivers and advance ideas of identity and gender equality. As an independent scholar, Chris Lezotte's research focuses on the relationship between women and cars. She lives in Ann Arbor, Michigan.